Today marks the start of the 2016/2017 varsity girls basketball season at St. Augustine High School (FL) and in Northeast Florida. The St. Augustine High School Yellow Jackets girls basketball team travel to Flemming Island High School to participate in a preseason match-up against other teams in the region. St. Augustine High School has a young team this year as they graduated 6 seniors from the team in 2016. Brooke Reed (#11) will see her first action as a Jacket on the court as a freshman this year after participating in the High School Summer League this past Summer. Stay tuned for the posting of the season schedule and game highlights. 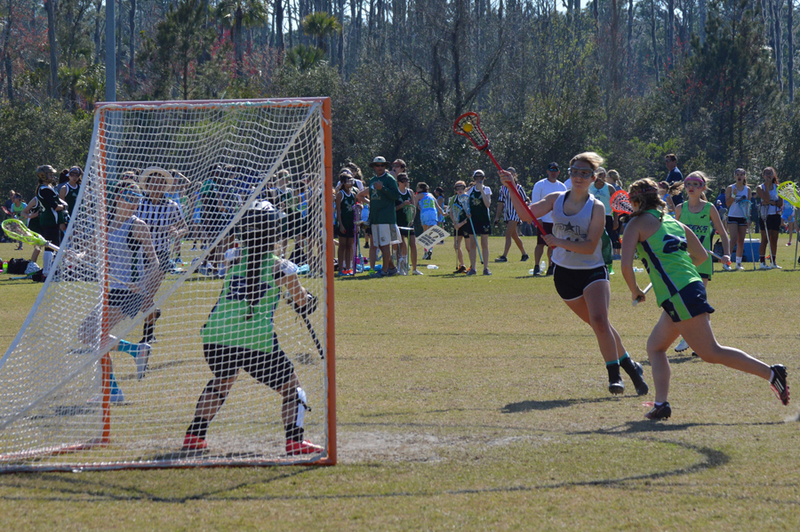 St. Johns County Police Athletic League (PAL) Starz lacrosse player Brooke Reed (#11) started the 2016 season with 3 goals on Sunday (2/28) against the Creeks (Bishop) lacrosse team. 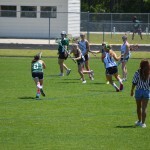 Playing mid-field for the Silver Starz Middle School travel team, Brooke dominated on the field to include the 3 goals scored, scoring several ground balls and winning draws (face-off) the majority of the time. Despite Brooke and her Starz teammates efforts and great play, the Creeks team finished the game with a 7-4 win. 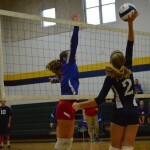 So far the 2015 school year is off to a fast start in sports for Brooke as she participates on the Sebastian Middle School ladies volleyball team. Having completed over half the games already this season, Brooke has shown that she is a fierce competitor on the court and helps lead her team in game play and leadership. 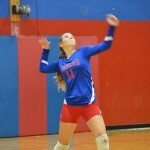 Brooke has started each game of the regular season and looks forward to the Playoffs in the coming weeks with only three regular season games left to go. Good luck Brooke! On Saturday and Sunday (May 2nd & 3rd) the St. Johns PAL Lady Starz, middle school lacrosse teams participated in the 2015 Battle at the Beach tournament at Davis Park in Ponte Vedra, FL. 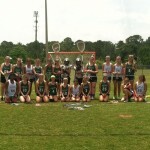 Participating in the event were teams from St. Augustine, Ponte Vedra, Creeks, and the Pipeline 210 clubs. 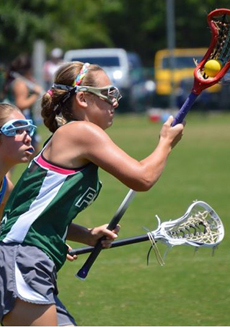 Playing for the PAL Lady Starz Green team, in the Black division, Brooke played the center mid-field position taking most of the teams face-off’s. Brooke Reed #11, played the draws well helping her team to easily win a majority of the face-off’s during their tournament games. 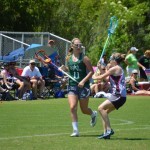 During Brooke’s offensive play over 5 games, she had several assists to her teammates, helped earn and maintain team possessions with controlling ground balls, and scored a total of 11 goals. 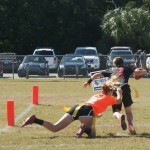 This past Saturday, Brooke and her St. Augustine Police Athletic League (PAL) flag football teammates started the 2015 Winter season with the first of 8 games being played weekly for the next two months. 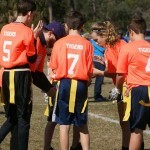 Playing for the ACC Tigers 6th and 7th grade team, Brooke completed three touchdown passes as quarterback and recorded one interception as safety, in a 27 – 0 win over the ACC Seminoles to start the season 1-0. 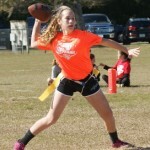 Brooke also begins regular season basketball play for the Sebastian Middle School Eagles on Wednesday, January 7th, when her Eagles team opens the regular season at home against the Pacetti Bay Wildcats, in the first game of a 9 game season. 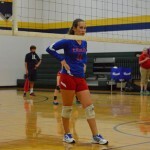 As a 7th grader, Brooke is a returning starter for the Eagles, having played guard last year. 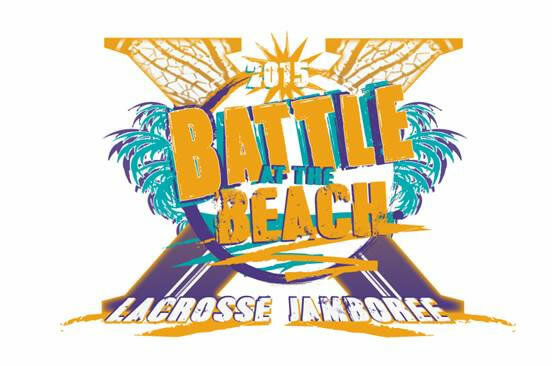 Good luck to Brooke and her teammates, and stay tuned for 2015 season updates and game results. Brooke Reed completed the fast paced 7 on 7 Heat Wave Lacrosse Tournament with a total of 27 goals and established herself as a key player to the tournament along with her teammates. 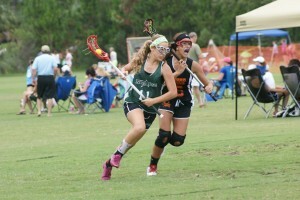 This was also Brooke’s last lacrosse tournament for the 2014 Summer season. Look for more news in the coming weeks on the next sporting events for Brooke Reed Sports. 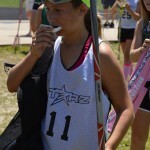 Brooke cradling the ball during one of the Heat Wave tournament games. 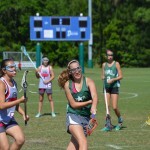 On Saturday, May 17th, girls lacrosse player Brooke Reed, #11, played the final game of the 2014 regular season for the St. Johns Police Athletic League (PAL) Lady Stars season in a game held in the stadium of Pedro Menendez High School in St. Augustine. 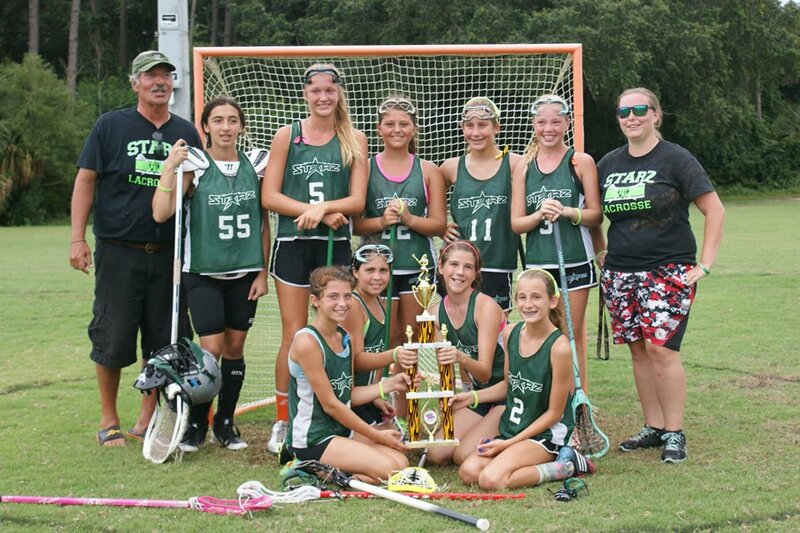 The game was featured as the show-case, season ending game for the Lady Stars for 2014. 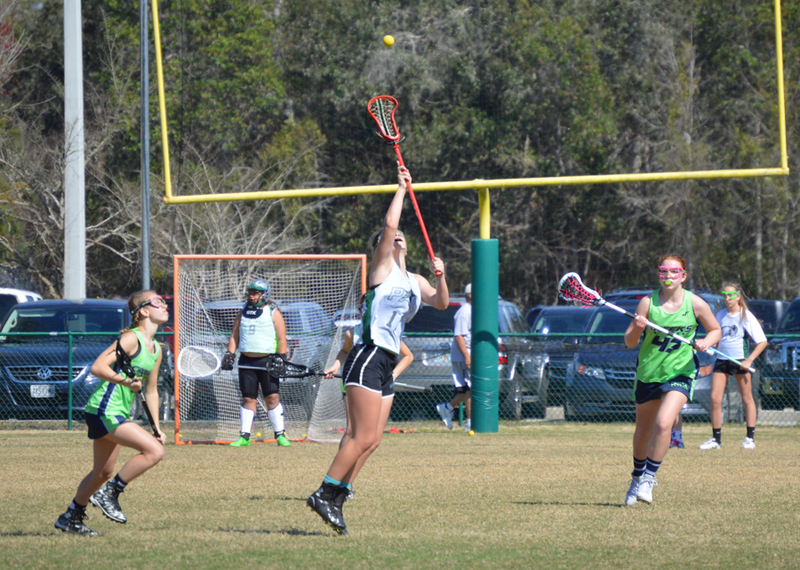 During the game, Brooke’s Lady Stars White team got on the scoreboard early to go up 1 – 0. The Lady Stars Green came back to tie the game and continue to play the first half close. 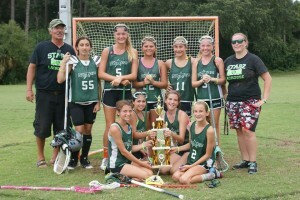 The game ended with Brooke and her Lady Stars teammates convincingly winning 9 – 6. 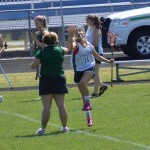 During the game Brooke scored 4 goals playing as Mid-fielder. 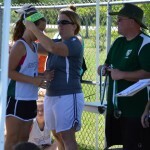 The 4 goals increased her season total to 43 goals, placing her as the league leader in goals scored for 2014. 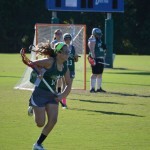 In addition to her scoring, Brooke passed out many scoring assists and gained possession on many ground-balls during the season. This has definitely been an amazing year for Brooke, who as a 6th grader has earned so much succeeded in a league with 6th, 7th and 8th graders. 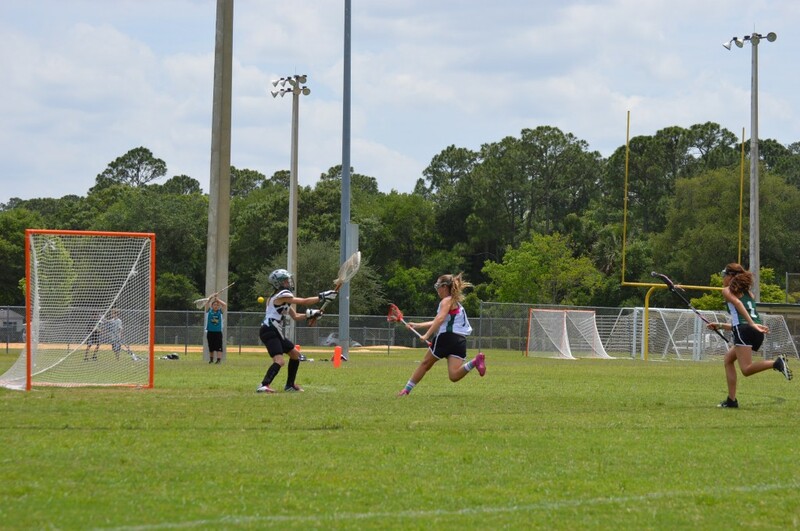 The following pictures are a season wrap-up on the successful 2014 for girls lacrosse player Brooke Reed, #11, and all of her St. Johns County Police Athletic League (PAL) Lady Stars lacrosse team. 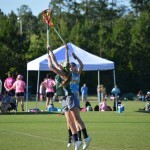 Last week featured two tournament games for girls lacrosse player Brooke Reed, #11, and her PAL Lady Stars teammates as they faced the Creeks Heat on Tuesday evening and played a three mini-game tournament on Saturday morning. Playing their cross-county rivals The Creeks Heat tournament lacrosse team on Tuesday, Brooke managed to score 4 goals and passed out several assists in a one-sided game that resulted in a 14 – 8 loss for the Lady Stars. Brooke was able to score two late goals to help keep the game close, but the Heat managed to answer back with quick goals of their own to maintain the lead and secure a win. 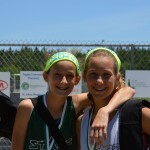 On Saturday, Brooke played in a best two-out-of-three, mini-game tournament with her PAL Lady Stars teammates. The tournament was dominated by Brooke’s Stars team as they won the first two games decisively to win the tournament for the day. 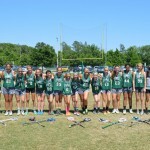 The third game served as an exhibition match and gave the girls some additional time on the field to work together before the Summer tournaments begin. 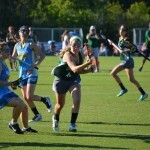 In the three games, Brooke scored 3 goals (game 1), 5 goals (game 2) and 2 goals (game 3), including the game winner. 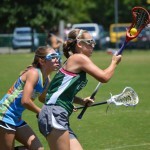 In addition, Brooke had many ground ball possessions and passed out several assists. The 14 goals this past week scored by Brooke raises her season total to 39 goals in 8 games/matches. 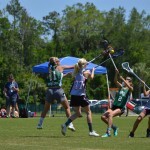 The featured video shows one of Brooke’s ten goals on Saturday where she splits two defenders to attack the goal and score. We are catching up on the Blog for Brooke Reed Sports and the 2014 Lacrosse season with the St. Johns County Police Athletic League Lady Stars. 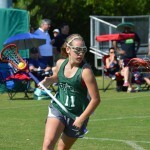 Over the past two weeks, Brooke and the Lady Stars have been playing a tournament style 7 on 7 lacrosse tournament each Saturday. The games last for three 14 minute periods, best two out of three wins. This past weekend, Brooke played the mid-field and attack positions, with some minutes rotating as defender. 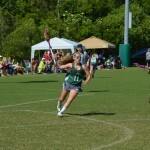 During the three 14 minute games, Brooke was able to score a total of 10 goals on the day and come up with several ground balls and assists for goals. 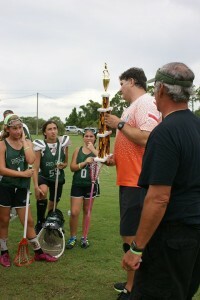 However, it was not enough as the competing team broke a tie and scored with three seconds left in the third game to win 8 – 7. Brooke has now scored a total of 25 goals in 6 games this season. 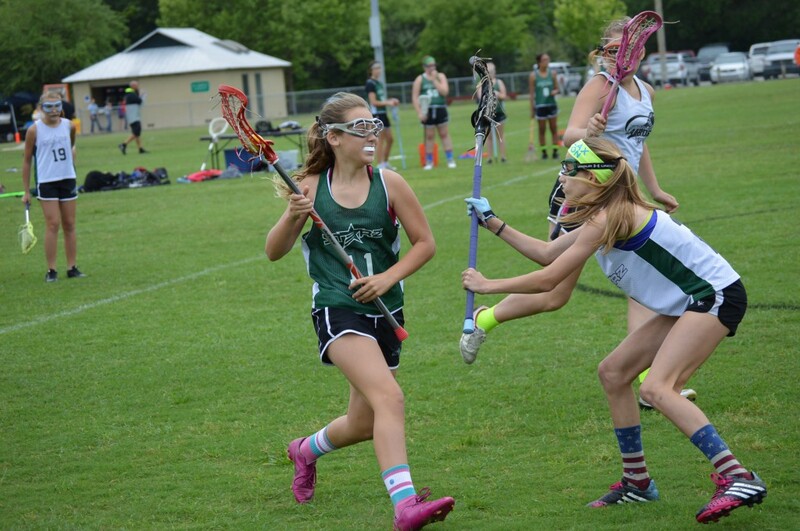 Brooke and the Lady Stars take on their cross county, and State tournament rivals the U-13, Creeks Swerve lacrosse team on Tuesday, May 6th. 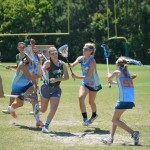 The video featured shows Brooke scoring on one of her 10 goals during the Saturday (May 3rd) tournament. 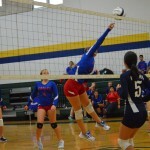 Brooke is a talented diverse athlete that works hard at everything she does. 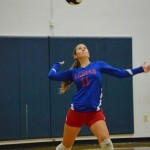 She plays lacrosse, volleyball, basketball and flag football and enjoys surfing in her down time. She is also an exceptional student.